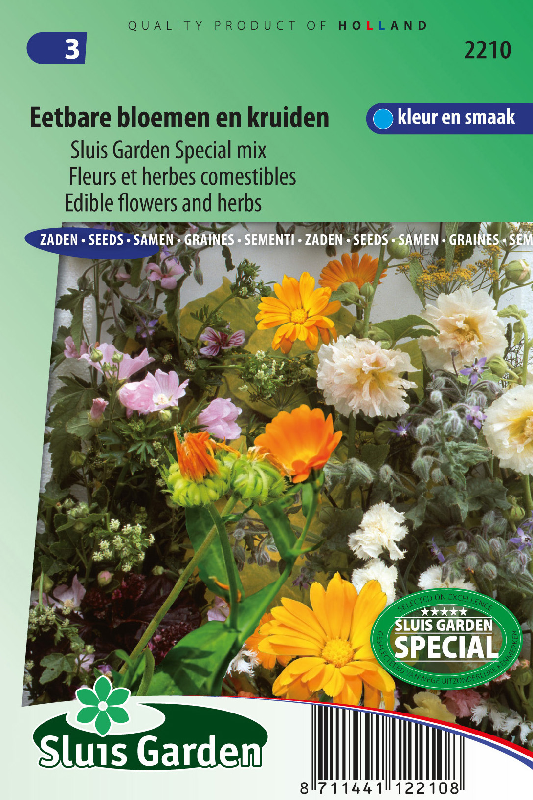 This mix contains elegant and aromatic herbs as well as various edible flowers. Pretty in the garden as well as a delightful finishing touch on your plate! Their colour and taste are combined in, for example, salads, meat dishes and soups. Mix the seeds with dry sand to ensure equal and thin sowing. After sowing lightly rake the soil. Ensure that all plants are given sufficient space, also the small ones. 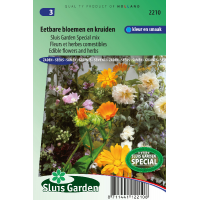 Can also be sown directly in large pots.